Intolerant. Critical. Passes judgments. Lacks humility. Nothing is right. Lacks understanding and sees only the worst in others. This formula is an electromagnetic solution of vibrational remedies known to promote healing and recovery. Also promotes hormonal balance after delivery, thus improving both emotional balance and physical wellbeing. For insect bites (also incl. fleas and ticks) and stings, bee stings, wasp stings and puncture wounds. Helps to relieve burning, stinging pain and inflammation. Includes Rescue Remedy for shock as well as various well-indicated skin-healing remedies. 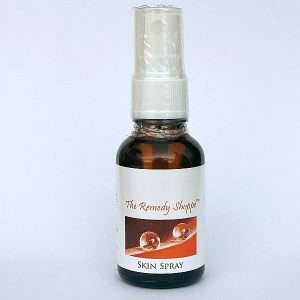 Spray directly onto the skin area for the relief of symptoms associated insect bites, stings and small puncture wounds. For bladder and urinary disorders such as weak bladder, incontinence and bedwetting. Also assists with pain and symptoms related to a prolapsed bladder. Assists with overcoming any disorder which includes excessive bleeding, such as menstrual bleeding, bleeding from the bowel or haemorrhoids, or bleeding after injury or surgery. NOTE: This Vibrational Medicine works to CORRECT bleeding disorders and does not CAUSE bleeding like some of the herbal medications under the same names. To assist the body with the regulation of blood pressure, whether high or low. Not to be taken instead of prescribed medication. Always seek the advice of a health professional. Assists with symptoms of osteopaenia and osteoporosis. Speeds up and encourages bone healing, growth and regeneration; improves bone strength and density and elasticity; assists with brittle bones; also works to correct acid conditions and reduces acidity which often contribute to the loss of bone density. Bone pain, fracture & injury formula helps to reduce any type of bone pain. Encourages the rapid, complete healing of fractures, and relieves aches and pains felt deep in the bones which may accompany other ailments, and after an old injury. Helps to promote healing and bone strength.